It was my first visit to Australia. A country hovering somewhere between the UK and Canada, it felt comfortable and easy like a familiar pair of jeans. Similar to Canada, Australia is a young country that has carved its own identity from its British roots but without the proximity to and heavy influence from the United States that Canada experiences. The British influence is more evident in Australia. It was a relaxing visit with time to catch up with friends and family, explore Sydney and surrounding area, hike trails and play on beaches – many beaches. Doing this country justice, however, will require future visits because like Canada distances are large. My initial impressions of Australia were the abundance of: beaches (>100 in and around Sydney), surfers and surf schools (every beach), kangaroos (so I was told although they remained elusive), flies (continually buzzing around my head and eager to enter my eyes, mouth and ears) and birds….loud, angry birds. I normally pay little attention to birds and can rarely spot them even when clearly pointed out to me. I recognize the songs of less than a handful of Canadian primary school birds but in Australia they are difficult to ignore. Beginning at about 5 am, they spend much of each day shouting at each other. A bit of googling led me to a YouTube video featuring Australia’s top 40 bird songs. It teased apart the bedlam and I learned that I was listening to: common koels, cuckoos, lapwings, cockatoos, magpies, kookaburras and tawny frogmouths to name a few. If only I knew what the arguments were about. The birds are also odd in other ways. The Australian raven sounds exactly like the toddler we saw in Nelson Bay who was repeating “aah, aah” over and over again as if testing his voice. And there was a butcher bird that appeared at the back door each morning demanding a full English breakfast and adeptly caught bacon in the air as it was thrown to him. The funniest though was a pelican that seemed to have finished his coffee at the Harbour Cafe, and walked over to the seafood shop, grabbed some lunch and then headed toward the beach to digest it. 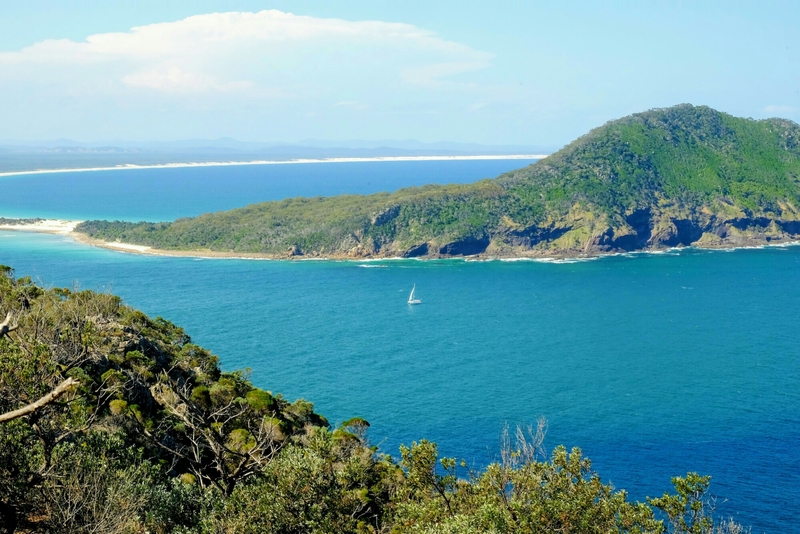 There are stunning beaches everywhere, both in Sydney and dotted all the way up the coast. We visited 18 of them. Between Botany Bay in the south and Nelson Bay in the north we hit Maroubra, Clovelly, Bondi, Bronte, Coogee, Freshwater, Curl Curl, Manly, Dee Why, Terrigal, Wamberal, Catherine Hill, Caves, Birubi, Fingal and Shoal Bay beaches. And where there are beaches there are surfers. After enviously watching them for a week, I had to try it and headed off to the Manly Beach Surf School to sign up for a two-hour lesson (me and a group of 20-somethings). Despite the water being warm by Canadian standards, we wore wet suits and brightly coloured T-shirts, which I was hopeful would assist someone in noticing if I disappeared. I suspected that the helicopter overhead that was presumably looking for sharks wasn’t a good sign, and the description of rips had me worried (I’m used to freshwater and not too familiar with rip currents). The waves were just right for a beginner though and I quickly forgot my fears as I focused on trying to time the wave and stand up. I absolutely loved it, was sorry when it was over, and began to wish we could surf at home. 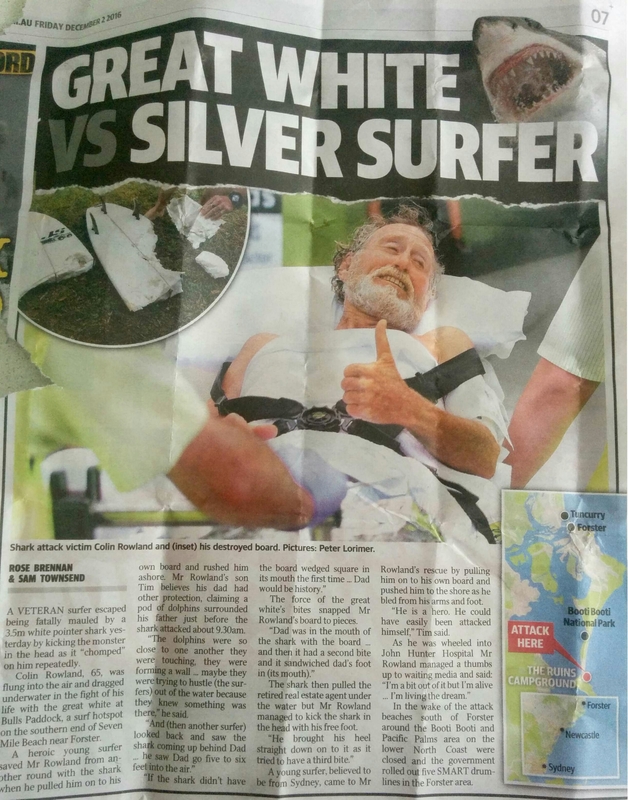 I had just started to contemplate where to go for my next warm, coastal vacation when the local newspaper reported a shark attack on a surfer just north of Nelson Bay. Hmmm….. maybe a rethink is necessary. In addition to beaches and surfers, kangaroos are plentiful. There are 48 species and current population estimates place them at 50 – 60 million, twice the population of cattle and over twice the number of people in the country. Although I didn’t see one, I did eat Skippy, perfectly grilled by my friend. Kangaroos are commercially harvested which is not surprising given their numbers, and they taste delicious. Despite what you might think, it wasn’t just a beach-bumming, kangaroo-eating holiday. 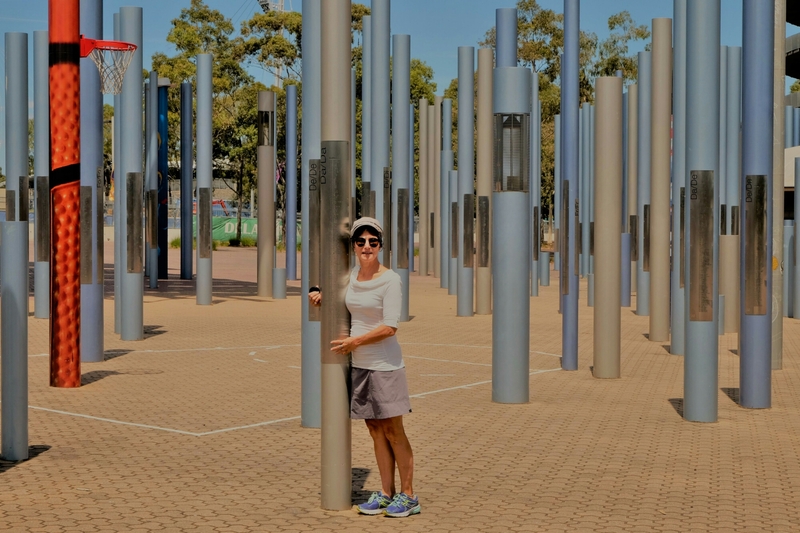 We did visit the Sydney opera house, the harbour bridge, the botanical gardens, the site of the 2000 Olympics, the beautiful old Queen Victoria building, Darling Harbour, the huge fish market and the ethnic suburbs for some superb Persian and Asian meals. We also drove to the Blue Mountains west of Sydney. The area is a National Park and a lovely place to hike, particularly down to Wentworth Falls and back. It is a steep walk but quite spectacular. The many lookouts over the mountains and the rock pillars known as the Three Sisters are also worth a stop. Poking through shops and art galleries with their colourful aboriginal paintings was a lovely way to spend a day. Australia looks amazing. If you truly like surfing, I think people surf in Ontario all year round. There may be hazards, but no sharks.